Use vacuum bags to save space, and take wrapped items out of their wrappers to save time. 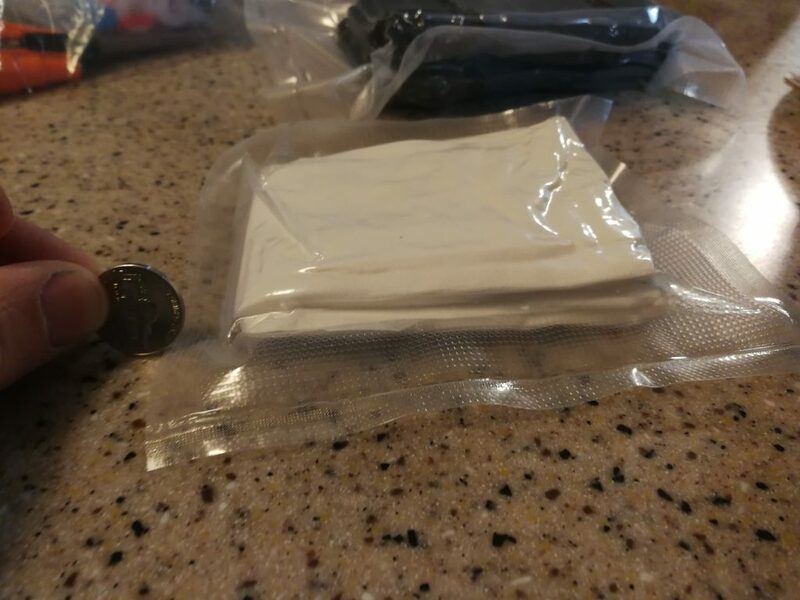 In December of 2017 I wrote about using a vacuum sealer to save room in your trauma kit, and to increase the durability of wrapped items, like gauze. 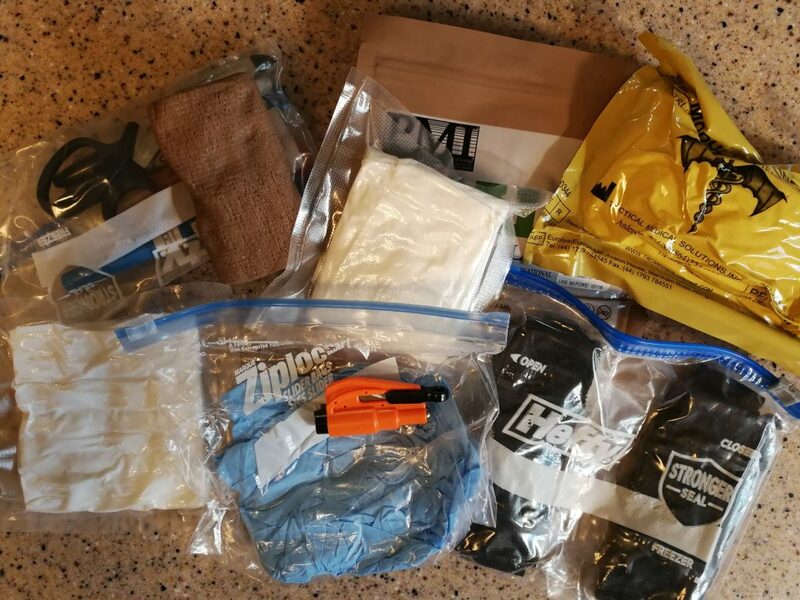 Here’s an update, with an example of how I saved space in the kit I keep in my EDC bag, as well as some adjustments to how I pack the vacuum bags. This is before I vacuumed sealed my kit. I was using Ziploc bags to keep everything segregated. 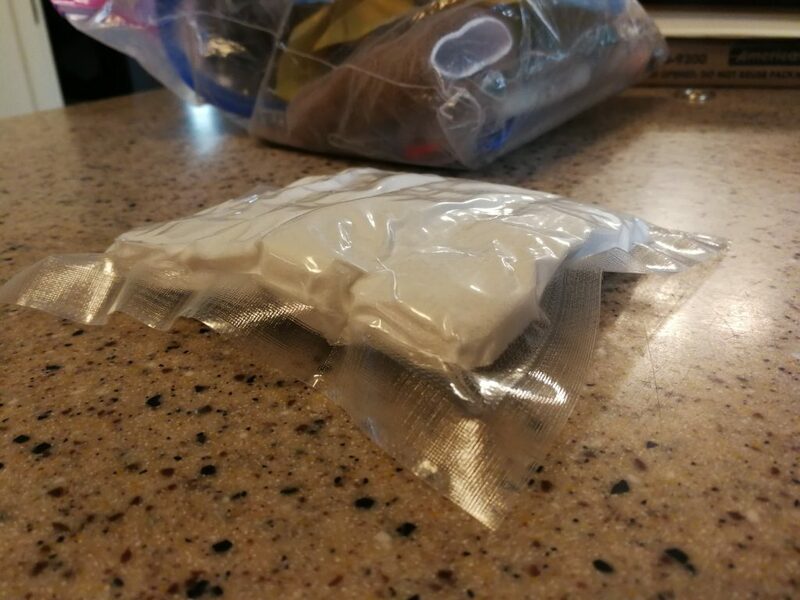 I unwrapped four 4″ x 4 yard gauze and ran it through the vacuum sealer. It’s more compact, and offers more protection than the manufacturer’s packaging. 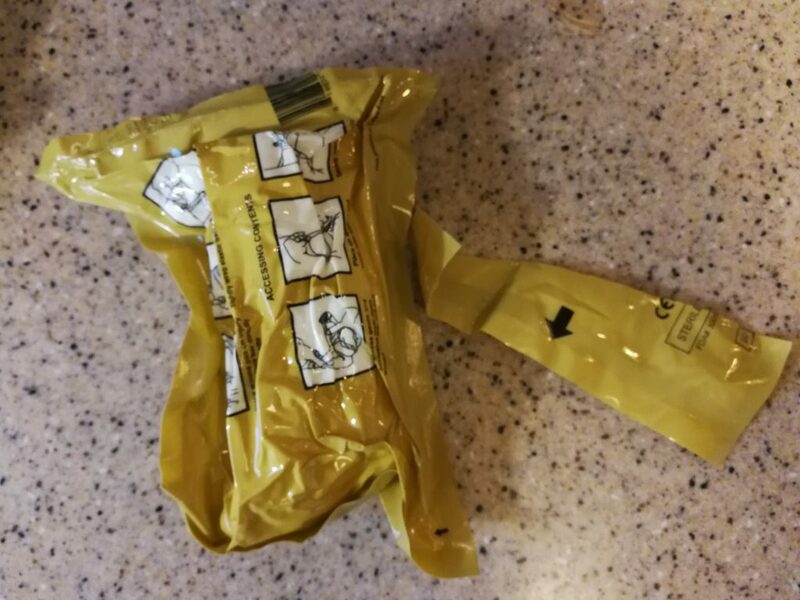 Sometimes our FoodSaver sealer leaves a bunch of extra material at the top of the vacuum bag. This is due to the big overhang / form factor of the unit. 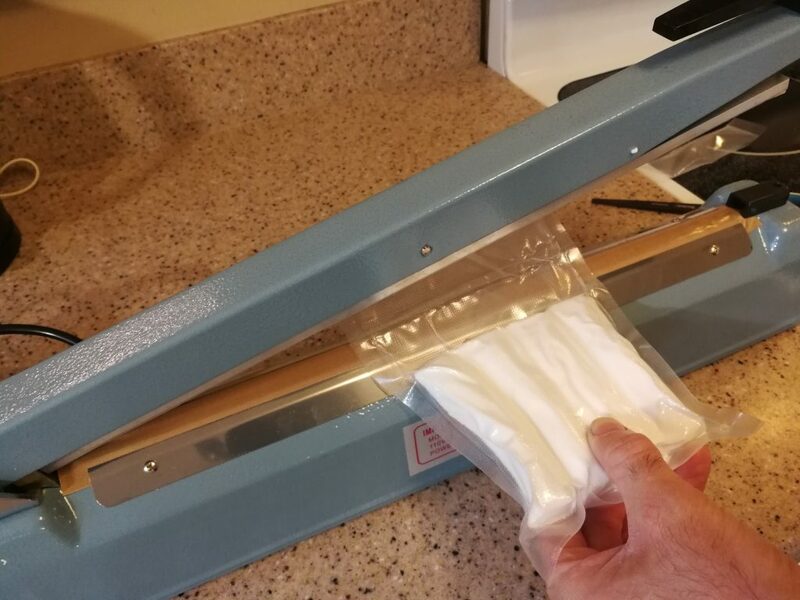 Based on a reader’s suggestion, we tried an impulse sealer to minimize the size of the bag. It was a little better, but not by so much as to warrant the cost of this unit. The Olaes bandage is great, but the packaging is huge. I trimmed the edges down a bit. Note that doing this will remove the lot number from the packaging. You may want to re-write the lot number on the package with a Sharpie. Not pictured: I opened the Olaes and ran it through the vacuum sealer. The form factor was slightly smaller, but not enough to warrant opening the sterile packaging from the manufacturer. We folded two 8″ ab pads in half, and then compressed them down to about the height of a nickel coin. I’m not sure how I feel about vacuum sealing two SOFT-T Wide tourniquets together, but it did reduce space a little bit. It also keeps the metal parts from rubbing against the other items in the bag. I had a problem with pocket carrying a SOFT-T Wide and it wearing down the packaging of rolled gauze. I know that vacuum sealing these tourniquets will reduce speed to access ; however I carry two SOFT-T Wides on me that are unwrapped and “flat packed” like these. I feel like if I am in a situation that necessitates the use of my aid bag, I’ll have the ability and time to unwrap these two. Vacuum sealing four rolls of gauze, two SOFT-T Wides, two 8″ ab pads, and the Olaes bandage resulted in less space and more efficient packing. I reduced the overall size of my kit profile by about 20%, which allows me to use a smaller bag and/or carry more gear. 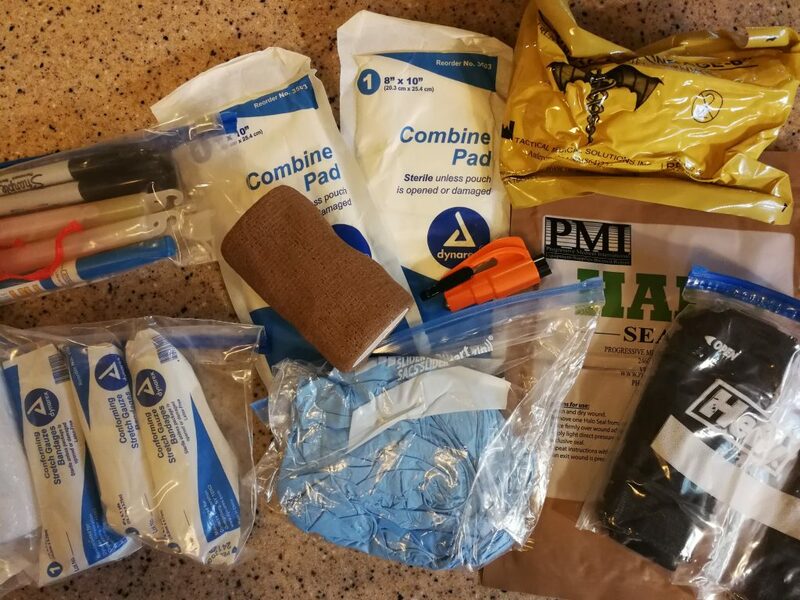 If you want to carry more gear, especially for a mass casualty event like a multi-occupant car wreck, industrial accident, or violent incident, you may want to explore vacuum sealing. 3 Comments on "Update On Using a Vacuum Sealer to Save Space In Your Trauma Kit"
Aren’t the vacuum bags a tougher(harder to open) material? My only concern is being able to open them in a hurry, especially with a compromised grip (wet or bloody hands). 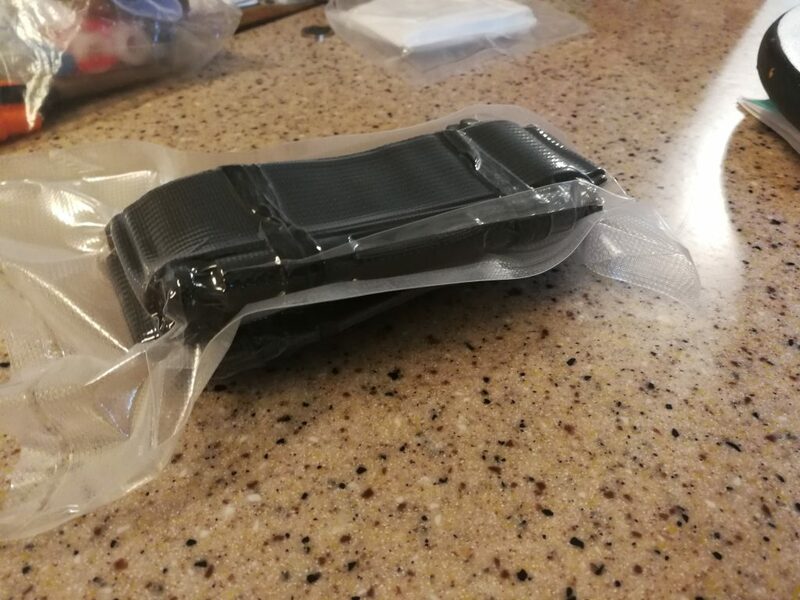 When people are yelling, I have to wonder if another “bad guy” role player is going to show up, or if the instructor is holding a timer and telling me my wife is dying before my eyes, I’ve found it harder to get the softer / more fine packaging open than going Hulk Mode™ on the thicker vacuum bag material. During my last trauma management class (taught by Mike McElmeel of Eighteen Zulu), my hands were shaking so badly I couldn’t open the packaging properly. I had to pull it it open (like a chip bag), and the roll bounced out and onto the floor. One thing I might do — and this was recommended by other readers — is cut additional points in the bag so that I can open it from multiple sides / angles. Great question, I hope my perspective was clear. The vacuum storage bags for clothing are worth a look for the ancillary stuff, especially the in-vehicle gear, particularly the stuff that’s containerized in the vehicle, not visible and thus inspected infrequently, jackets, blankets, etc. Reduces the size tremendously, keeps it dry and protected. Weak points are the vacuum valve and zip-type open end seal – I vac-pak stuff, then let it sit for 72 hours. If it’s still vac-tight, I seal the valve with silicone caulk and close the open end off with Gorilla tape. It makes the bag a single-use item, but I’d rather sacrifice the bag in an emergency that have the emergency and find soggy blankets or jackets. I’ve also used mylar bags, vacuumed them with a Food Saver, separate vacuum pump or a jury-rigged adapter to the shop vac, and heat sealed, but the 5 gallon ones aren’t quite big enough for an XL or XXL Carhartt jacket, the 1 gallon ones will hold lots of smaller gear, but not being transparent you have to use a Sharpie to label contents and Sharpie will wear off.